On a summer day in 1988, two extraordinary things happen to twelve-year-old Maeve Donnelly. First, she is kissed by Daniel, the boy of her dreams. Then, she is attacked by a blacktip shark. Eighteen years later, Maeve is a world-travelling marine biologist studying and swimming with the very animals that once threatened her life. Maeve is fearless in the water. On land, however, Maeve is haunted by painful memories, and indecisive about the path her life will take. When she returns to her childhood home on the small island off Florida’s coast where she grew up, she finds that her twin brother may be about to make it big as novelist, using her love life as his jumping-off point. Will she confront her feelings about her brother’s betrayal – and forgive her childhood sweetheart, Daniel, the missteps of their youth? Or will she dive headlong back into her research and open her heart to Nicholas, the handsome colleague who shares her passion for the ocean? The Shark Club is a bittersweet story about the power of forgiveness and the promise of true love. Ann Kidd Taylor is a talented writer, with beautiful imagery and description and a real knack for evoking certain feelings and emotions out of the reader. The book is part romance but also part mystery, when someone on the small island is running a shark finning operation and Maeve is determined to find out who it is. There’s definitely a bit of environmental activism coming through in the book, but not the ‘beat you over the head’ kind of activism where you feel like the author is preaching at you. “It happened near here, didn’t it?” he asked. The Shark Club is rich with description and setting, and Ann Kidd Taylor captures the world of underwater animals wonderfully. It’s clear that she’s done her research. Most of the characters in the book are flawed. Maeve can’t stick up for herself when she needs to, and lets old feeling resurface. And her brother just floats between jobs and doesn’t have the drive to really stick it out or put enough effort in. I do have a couple of pet peeves about the book. At only 274 pages, Ann Kidd Taylor doesn’t allow the reader to really understand all of the characters. There felt like gaps in the story and the plot moves a little too quickly. I found it a little unrealistic that Daniel’s daughter would have such a keen interest in sharks and would therefore bond so heavily with Maeve. I also found it unrealistic that Maeve would feel like she has to be friends with this young girl (she really should’ve told Daniel to stick it). And finally, it seemed awfully convenient that Hazel’s mother had recently just died. I would have preferred it if Nicholas didn’t exist in the novel at all and instead, Hazel’s mother did. I think it would’ve made for a better love triangle and a more engaging power dynamic. After all, Nicholas is gone for most of the book anyway so he’s not there long enough for the reader to really get to know him. It doesn’t make us want to fight for him when Maeve has to decide which guy to stay with. 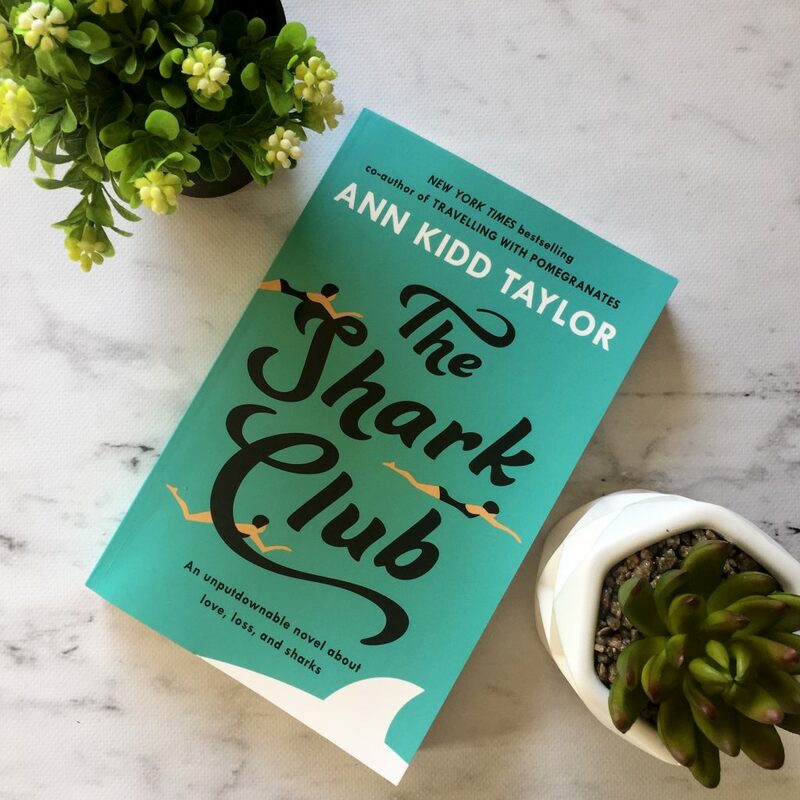 The Shark Club feels a bit like literary chick-lit, so I’d recommend this book to those of you who love a romance story with a bit of mystery on the side.